Did you love all the NEW products you can earn for FREE? Is your wish list long? 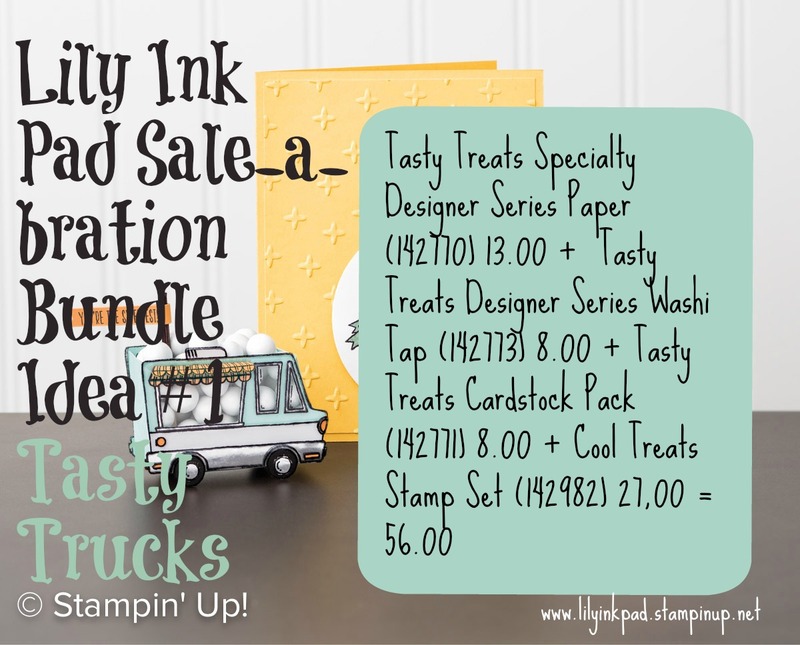 Well, in two weeks, it can grow more after you return for the Stampin' Addicts Occasions Blog Hop featuring products from the Occasions catalog. 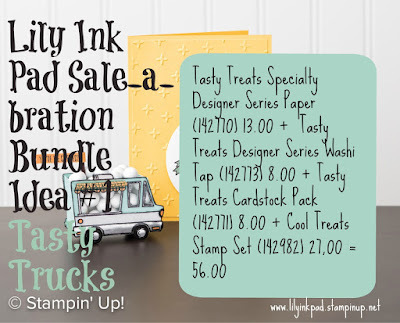 The order period for both Sale-a-bration and the Occasions catalog starts January 4th! I love the inside on this one. I used the Sausage chain to make a garland. You can tell it's handmade because it's not level. The hot dogs were colored with Delightful Dijon for the buns and Cajun Craze for the hot dogs. My final touch was repeating the curves on the circles, dogs, and garland by useing my corner rounder on all four corners. This is definitely a card that looks better in person! I used my Stampin' Up! markers for bold colors in Watermelon Wonder, Pool Party, Peekaboo Peach, Crumb Cake, Pear Pizzazz, and Soft Sky. 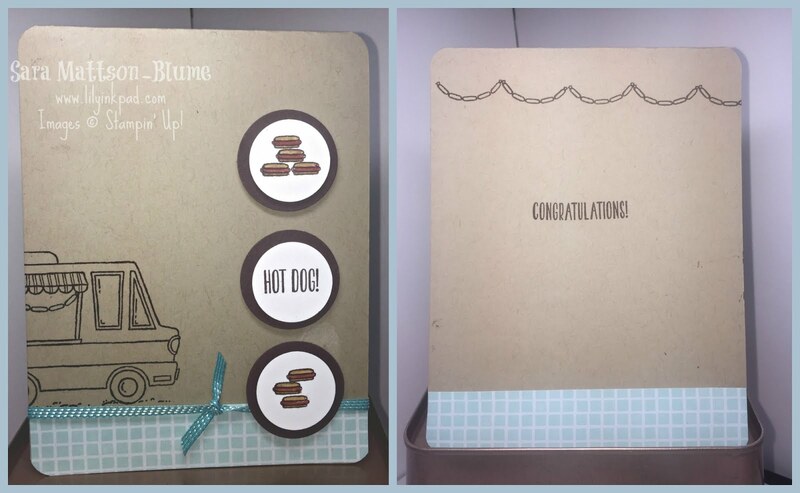 The inside sentiment is from the Cool Treats stamp set. The shaker part of the card was pretty easy, but I did learn a tip recently to help the particles shake-- Rub the Embossing Buddy on the paper and window sheet prior to adhering! Removes static, so the sequins and beads move. Oh! I almost forgot. To cut the window out, I used my paper snips! Really! I used the tip of it like an exacto knife and it cut the paper perfectly. I learned that to make the bow, I had to make separate loops and glue them with glue dots to each other, or the wrong side faces up on one side. My favorite detail is that washi tape stripe. When the washi tape fit, I squealed. I was prepared to cut as much as I needed to! But, I didn't have to. For the rest of the truck, I used the Watermelon Wonder, Pool Party, Peekaboo Peach, Crumb Cake, Pear Pizzazz, and Soft Sky. 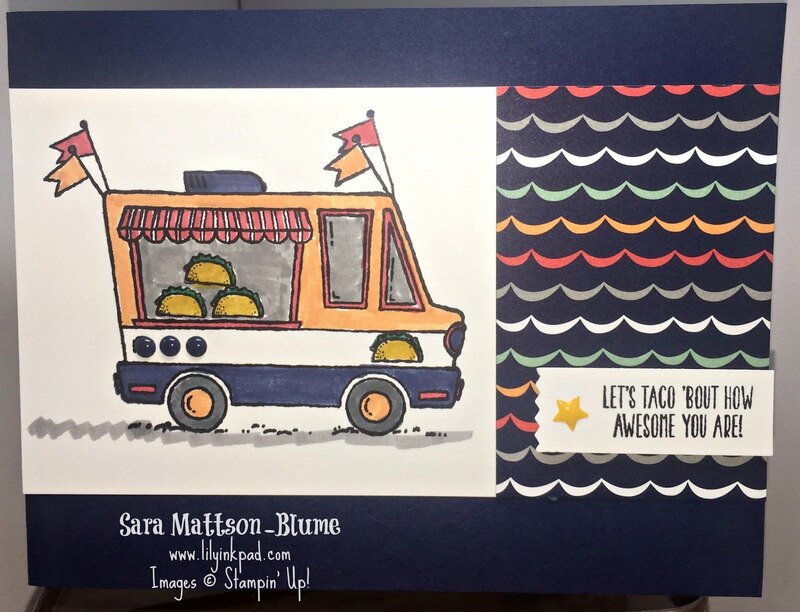 As said in my previous post, I was trying to figure out which yellow to color my taco truck, when this paper popped out of the package. I knew immediately that I had my color combination! I love the Peek-a-boo Peach, Night of Navy, Watermelon Wonder combination. The Smokey Slate added a good neutral for the windows and road. The tacos were colored with Crushed Curry and Gumball Green. 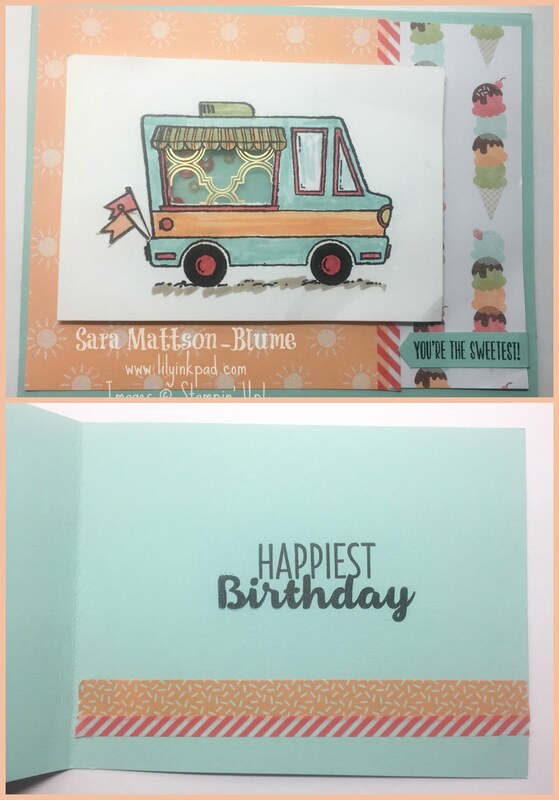 I used the Regals Enamel Dots to add some dimension to the truck and a star on the sentiment for fun. 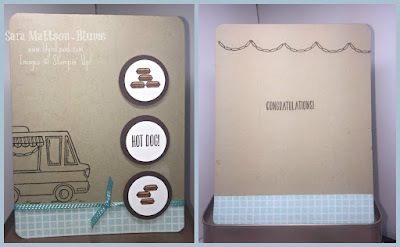 This card is perfect for a teenage boy I know who lives for tacos. 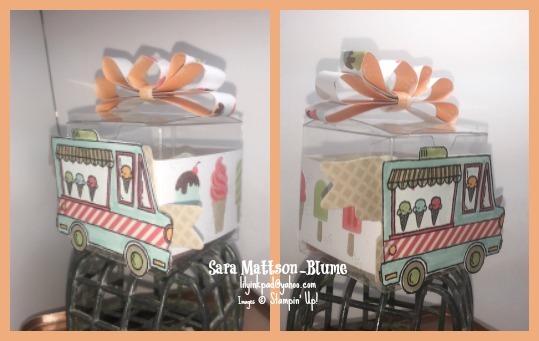 I hope you enjoyed my projects and the blog hop! Here is my bundle idea if you want to order this set!